If you choose to this attack to defeat the enemy. 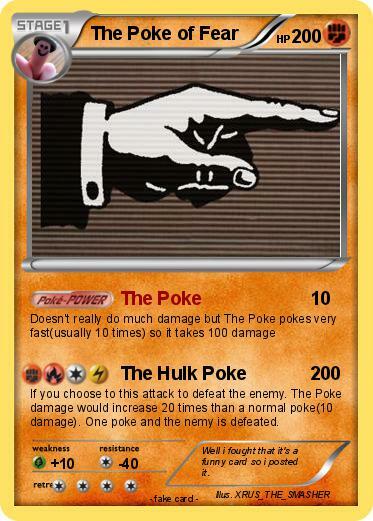 The Poke damage would increase 20 times than a normal poke(10 damage). One poke and the nemy is defeated. Comments : Well i fought that it's a funny card so i posted it.